I was in Central yesterday and noticed the shop that used to sell Liz Lisa clothing across from Market City is gone. It has turned into The History of Whoo! The History of Whoo is conveniently located next to the shop that sells Stylenanda clothing and their cosmetics brand 3 Concept Eyes (3CE). The History of Whoo is a luxury oriental Korean skincare brand under LG Household and Healthcare. Yes, the same LG that makes phones, fridges, washing machines, TVs... you know, that LG. LG Cosmetics also owns other big name Korean brands such as O HUI, The Face Shop, Beyond, and Isa Knox. 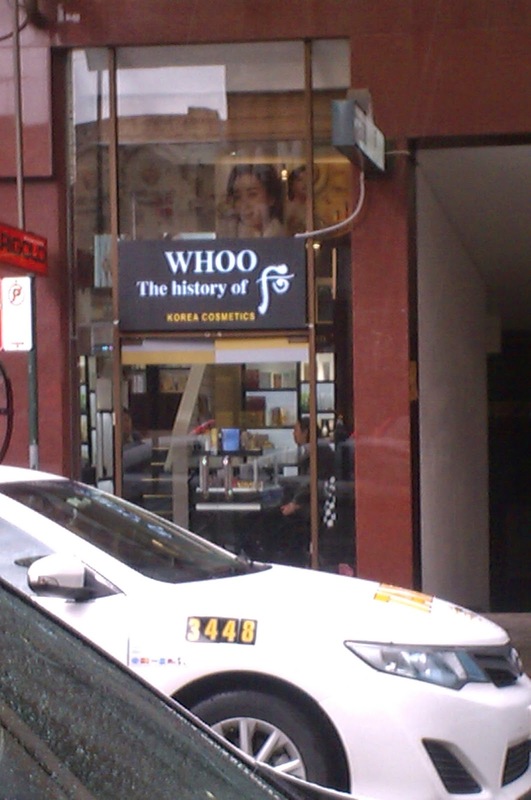 Inside this store, I saw they were selling History of Whoo, O HUI, and Leaders Insolution (Leaders). I love the masks from Leaders! I've currently tried their Vita Bright, Aloe Soothing, Tea Tree, Aquaringer, and Dr. Therapy Foot Mask. From O HUI, I'm currently halfway through The First Cell Revolution Essence Advanced and the Hydra Formula Moisture Deep Cream. I think the essence may be too rich for my younger skin, but the cream is awesome for getting rid off those annoying flakes on my face. The approximate address is 217- 219 Thomas St, Haymarket NSW, 2000. What other stores do you wish started opening up in your neighbourhood?